Back to normal, fade to green. 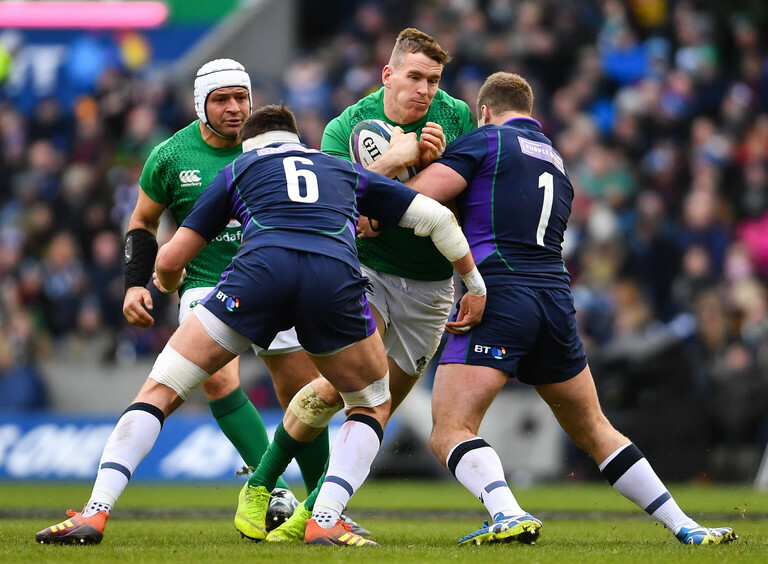 Ireland mustered a mean 22-13 victory after a moderate match at Murrayfield. Blow for blow, Helter-skelter, crazy and chaotic rugby for an hour and not much else after that. Attitude, so often cited as lacking last week, sprung abound. 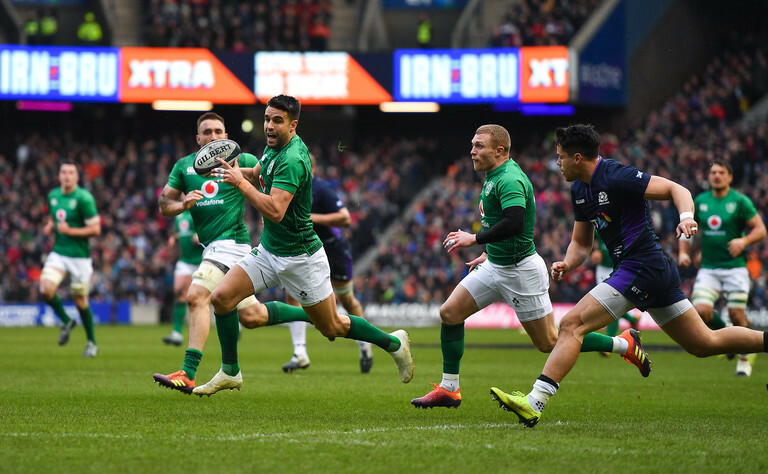 There was a double-take moment just before half-time, as Irish scrambling defenders frenzied and flew forward into an oncoming wave of Scottish attackers. Munster's pocket rocket, Keith Earls, fired into Scottish powerhouse Josh Strauss and drove him back five yards. 25-phases and Ireland did not wilt. 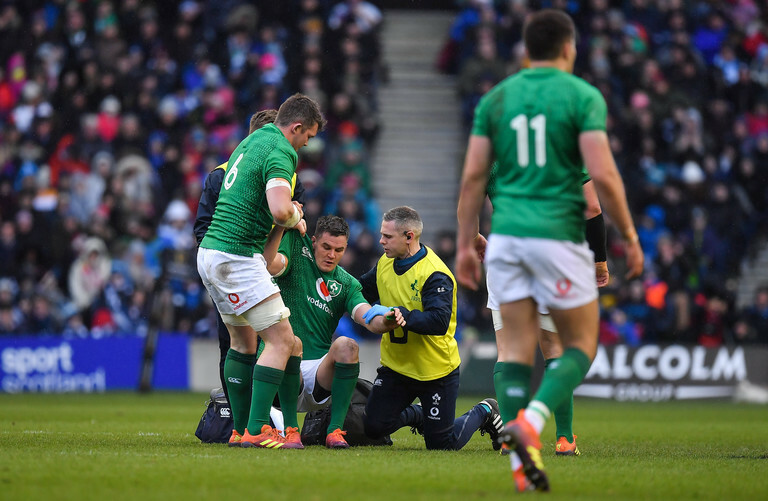 There was something symbolic about him later finishing a try after a remarkable display of determination from Joey Carbery in the second half. Similar steadfast refusal to accept the gain line, just on the other side of the ball, saw the replacement out-half manage to wriggle his way past and fire a sensational 15-yard pass off his left hand to free his team-mate. Good, but not great. There was still lingering inaccuracy and frustrated opportunities but ultimately it was job done. Onto Rome. Covered the backfield superbly (how often have you read that sentence?) Always executes the basics well and offered some attacking option. Finished with an impressive three clean breaks and five defenders beaten. One of the game's stand-out moments came just before half-time when the Munster hit Josh Strauss and despite him being 27 kg lighter drove the number 8 back five yards. Great support line to stay with Carbery and finish his try. A great kick-chase for Ireland's opening try. Big presence in defence. Rocky start after he was bounced back when attempting to tackle Josh Strauss. Conceded a harsh penalty minutes later for hands in the breakdown, although questionable whether any ruck had formed. Stood in as first receiver a lot after Sexton went off. Sloppy knock-on in the final five minutes. Two missed tackles and two penalties conceded will ensure a difficult video session with Joe Schmidt come Monday. Sensational speed to fly through and finish a training ground set-piece move for Ireland's second try. The only thing missing was the cape. Replaced by Jordan Larmour in the second half. Scotland really targetted Sexton and left plenty on him any chance they got. Struggled on for 25 minutes but was then replaced by Joey Carbery. Failed a HIA. Took his try well. His delivery improved dramatically from last Saturday's display. Box-kicking was better too. Brilliant scrummaging early in the second half to force a big penalty and give Ireland a platform inside Scotland's '22. A serious return from his carrying with 20 metres from eight carries as first up carrier. A great day for Simon Easterby and the Irish set-piece. 100% in the scrum but not a huge contribution outside of that. Uncharacteristically missed two of eight tackles in defence. The second week in a row where his carrying had little impact. Quiet. The least carries and second least tackles of any member of the pack. Replaced by Ultan Dillane with 15 minutes remaining. Regardless of his second-row partner, the Leinster man continues to perform. 15 tackles, none missed. Bossed it. Shot out of the line, missed his tackle and almost handed Scotland their opening try midway through the first half. Stood up today with savage work-rate with amazing attitude in the loose and the tight. Jamie Heaslip was in no doubt on BCC when asked for his Man of the Match. An interesting week as reports leaked of his summer departure but full value for his recall to the team. 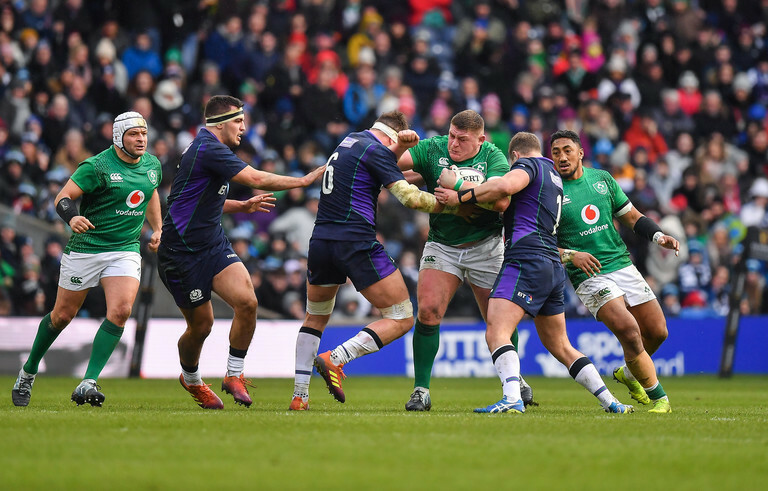 Ireland lacked big ball-carriers last week, something that is never an issue when a fit Sean O'Brien is on the field. Came into the team in place of the injured CJ Stander and ended up making most of his impact in defence rather than attack, with 17 tackles and some huge work in the ruck. 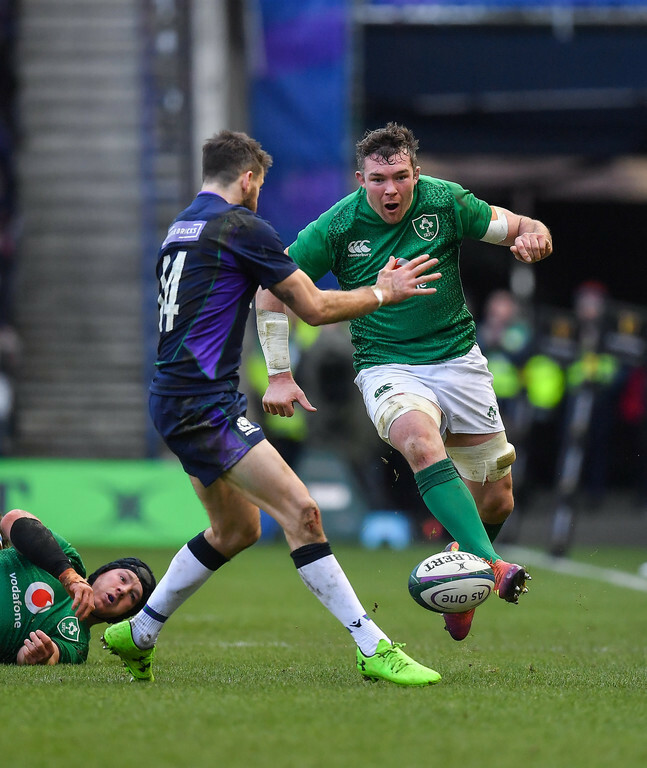 Joey Carbery came on for Johnny Sexton midway through the first half and after a shaky start settled nicely to set up Ireland's third try and demonstrate his usual prowess from the tee. Josh van der Flier was introduced shortly after the hour mark while Andrew Porter was also introduced and scrummaged well. Ultan Dillane had a decent impact. Dave Kilcoyne was brilliant. Jordan Larmour had little opportunity. "It wasn't the prettiest game," said Joe Schmidt post-match. He wasn't wrong, but the win was badly needed. Back on track.